The County Down town of Portaferry had probably never been mentioned in the same breath as Helsinki or Leningrad (St Petersburg) until James Stevens Curl wrote in 1980 of the local Presbyterian Church, which he believed would not look out of place in either city, describing it as “one of the most distinguished Neoclassical buildings in Ulster, and…in the first rank of Neoclassical designs in the whole of the British Isles”. 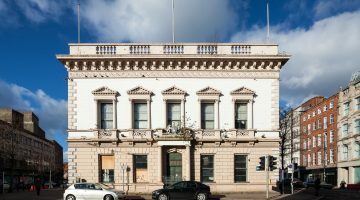 This Greek Doric temple, designed by the Belfast architect John Millar, and built in the early 1840s, is tucked away behind High Street and the buildings fronting The Square, at the junction of Steel Dickson Avenue and Meeting House Street, within the Portaferry Conservation Area. In spite of its architectural importance and dominance of the area in which it stands, it is not particularly well known outside the locality. The listing record for the church describes it as a “plain rendered two storey building in a simplified style of Greek temple, with hexastyle portico to the NW and SE. Sir Charles Brett noted that although it is now in poor order, it is one of the “most distinguished buildings in the county”; enthusing that “the clarity and elegance of its detailing are quite remarkable”. Other Presbyterian churches designed by Millar include those at Antrim, Castlereagh and Crumlin, with two others, at Rosemary Street (Third) and Malone in Belfast, no longer in existence. Portaferry is reputed to have one of the oldest Presbyterian congregations in Ireland, meeting originally at nearby Templecraney before moving to the present site in the late 17th century. The congregation is now fewer than 100, but, at the time of the construction of the present building, would have been much larger. A Friends of Portaferry Presbyterian Church has been established in recent years with the intention of making use of the building for arts events, such as concerts and lectures. 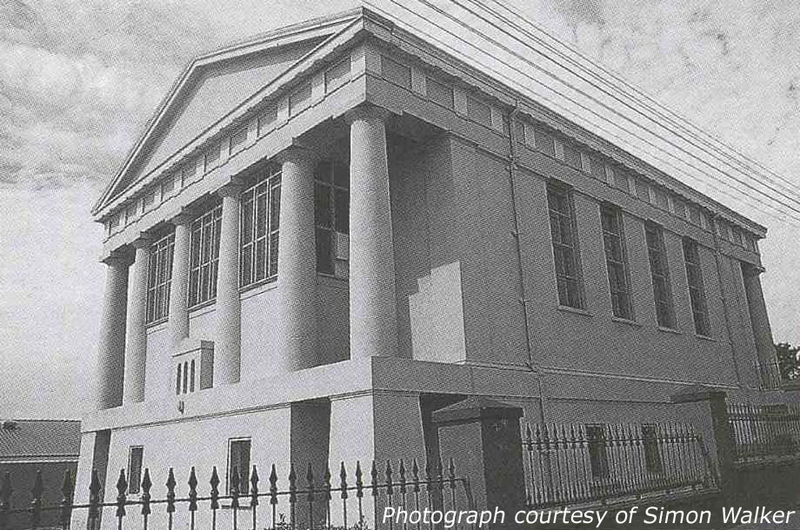 Any funds raised contribute towards the much needed restoration of the building. The next event is on Saturday 6th June and includes a series of lectures from eminent architectural experts. Entry is free-of-charge and the day is positively billed as A Celebration of theArchitecture of Portaferry Presbyterian Church and the Greek Revival.